Pancreatic injury following blunt trauma in children is quite rare. Management of mild pancreatic injuries not involving the main duct is generally non-operative. 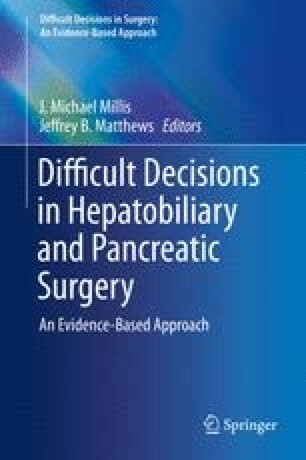 However, the management of more severe injuries involving the main pancreatic duct is much more controversial with proponents for both non-operative as well as early operative intervention. Both treatment strategies have their advantages and disadvantages with no consistent findings allowing for a definitive best practice to be developed. While non-operative management generally leads to longer initial hospital stays and increased pseudocyst formation as well as multiple endoscopic or less invasive procedures, the child avoids a major abdominal operation and pancreatic resection. Operative management, on the other hand, generally leads to decreased hospital stay and quicker return to normal function but involves the inherent risks of a major abdominal surgery, long-term consequences of pancreatic resection and possible splenectomy, as well as increased incidence of pancreatic leak or fistulas. Furthermore, there have been no reported long-term differences between the two strategies. Due to the rarity of children with pancreatic duct injuries following blunt trauma, there have thus far been no randomized controlled studies comparing the two treatment modalities. The literature consists of only retrospective reviews making a strong recommendation for best practice impossible. Thus, both are viable options for the treatment of pancreatic duct injuries.